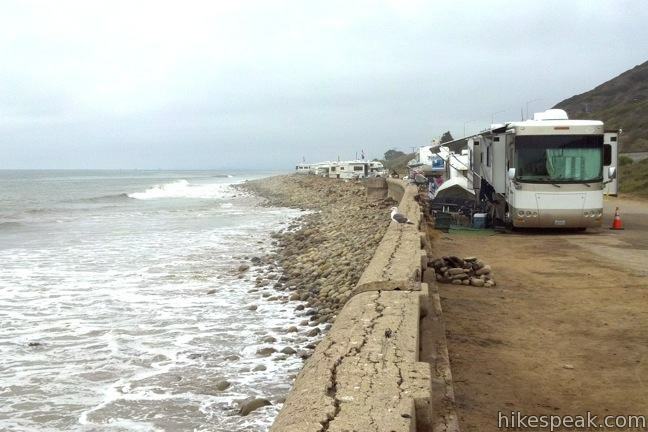 Want to beach camp in Ventura, California? 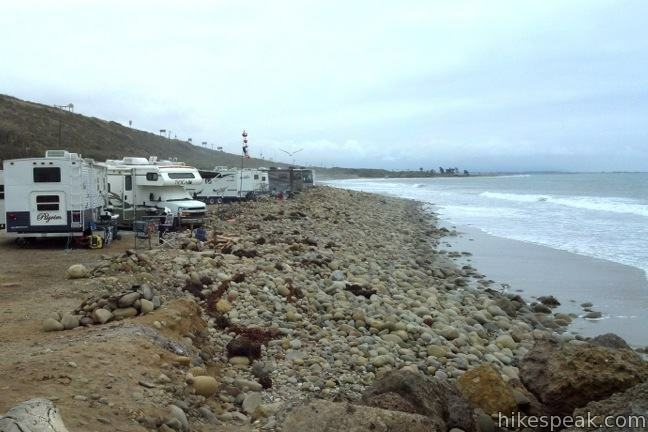 For RV campers, the place to go is Emma Wood State Beach. 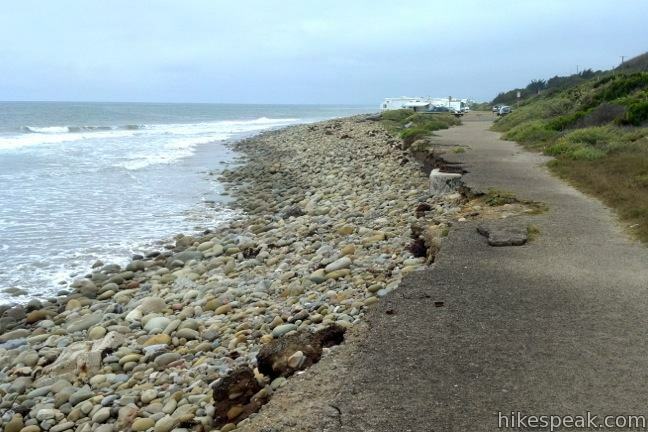 The park offers 90 beachfront campsites, ocean fishing, a reliable surf break, and a 1.5-mile hiking trail loop. Ready for a beach escape? 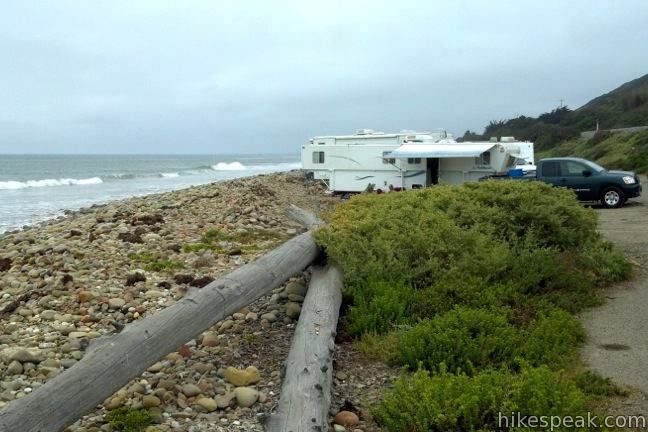 If your brand of “primitive camping” includes sleeping in a “fully self-contained vehicle,” than Emma Wood State Beach is the perfect oceanfront campground. You’ll get your moneys worth if you come to Emma Wood State Beach to surf or relax on the beach. Sites are $40 per night during the summer and $30 per night during the off season. 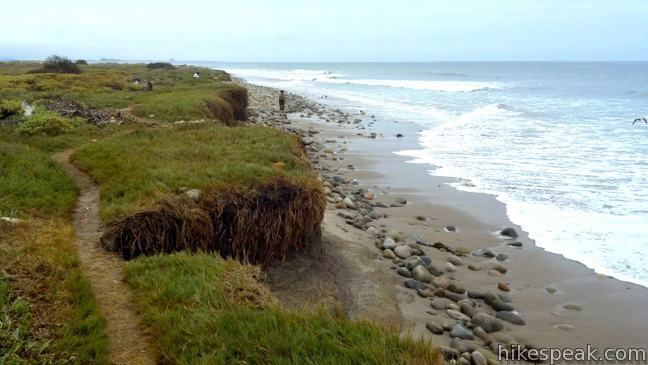 Sites at Emma Wood State Beach are by reservation only during the busy summer season (mid-May through Labor Day) and first-come first-serve during the rest of the year. Campsites may be reserved online (prices as of 2018). Park amenities include a cold water outdoor shower and chemical and flush toilets. Campfires are prohibited, but stoves and grills are allowed. 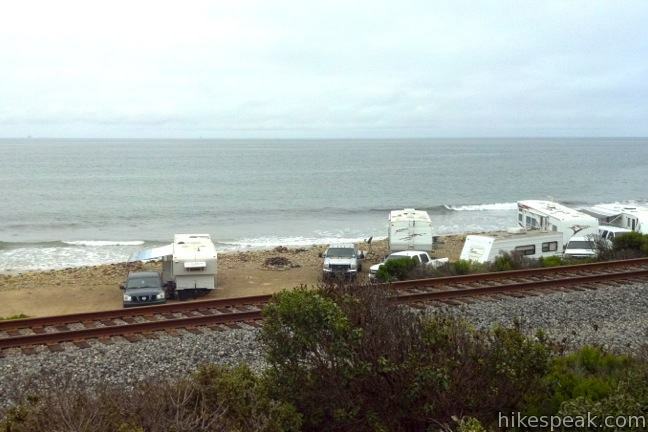 Emma Wood State Beach is sliced down the middle by the Union Pacific Railroad and bordered closely by the 101 Freeway, which keeps campers from feeling too isolated. What if you want to camp in a tent? If you have a lot of friends, there are four group campsites that do allow tents and fit up the 30 people. 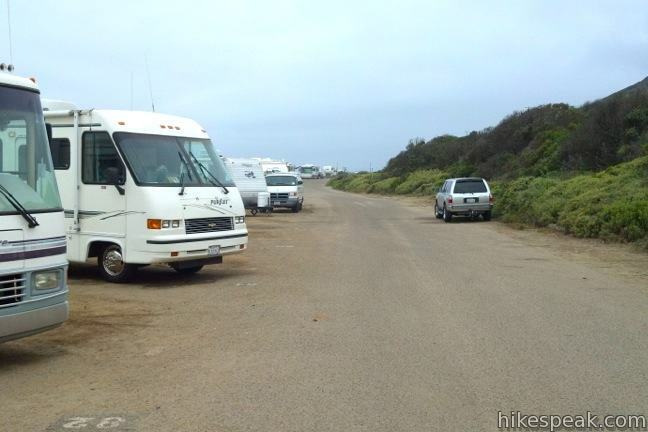 However, unlike the 8-person family sites for RVs, the group sites are set back from the waterfront, exchanging ocean views for sights of the freeway. RVs are also allows at the group sites. There is a picnic area near the group camps with BBQ grills. A bike path connects the group camp with the rest of the campground, a couple miles away. 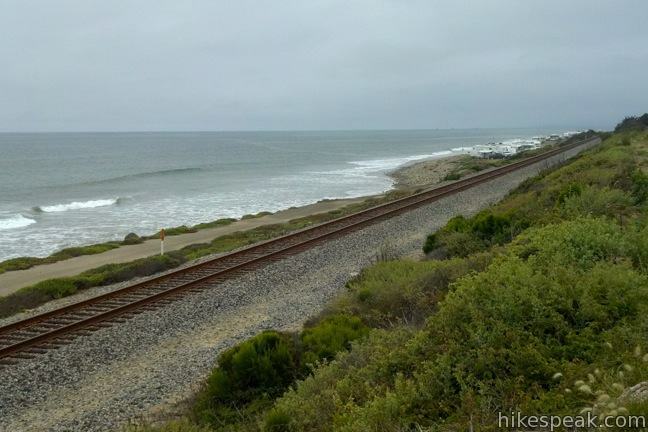 Ocean’s Edge and River’s Edge Trails Loop starts from the Emma Wood State Beach Group Camp and heads southeast along the beach into Seaside Wilderness Park to an estuary at the end of the Ventura River that is typically flocked with seabirds. Grab your sleeping bag and your flip-flops and head to Emma Wood State Beach, where you can fall asleep to the smell of the sea breeze and the sound of the waves rolling up on shore. Dogs are not allowed on the beach, but are allowed on leash in the campground. For more information, call (805) 968-1033, or take a look at the campground map and guidelines. To get to the group camp and trailhead: From the northbound 101 Freeway, take exit 70A to California Street. At the bottom of the ramp, turn right and drive half a block up California Street to Thompson Boulevard and turn left. After half a mile, the road curves to the right and becomes Garden Street. Go to the end of the street and turn left on Main Street. Drive 3/4 of a mile and turn left on Park Access Road, just before the freeway onramp, which has signs for Seaside Wilderness Park and Emma Wood State Beach Group Camp. From the southbound 101 Freeway, take exit 71 for Main Street. At the bottom of the ramp, turn right on Main Street and make an immediate right on Park Access Road to reach the state beach. 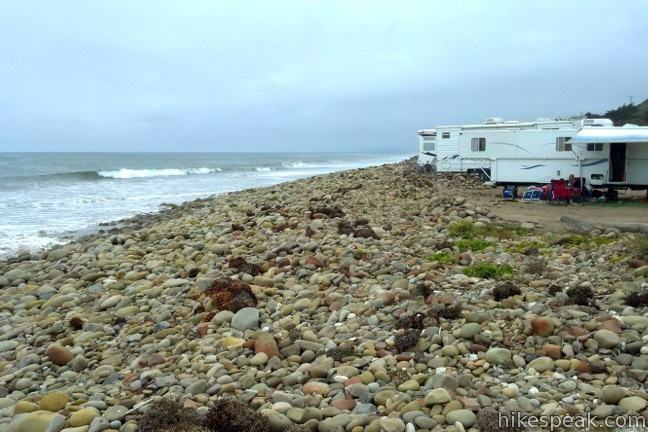 To get to the RV-only beach campground: From the northbound 101 Freeway, take exit 72 for State Beaches. Drive half a mile north from the end of the ramp on Pacific Coast Highway. 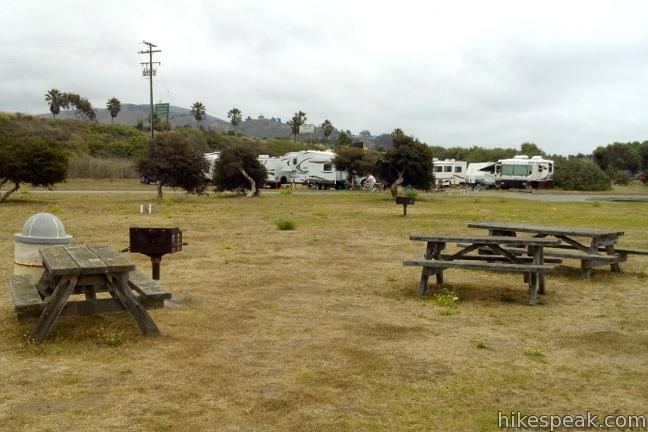 Turn left on State Beach Access Road and drive a quarter mile to the gate for the campground. 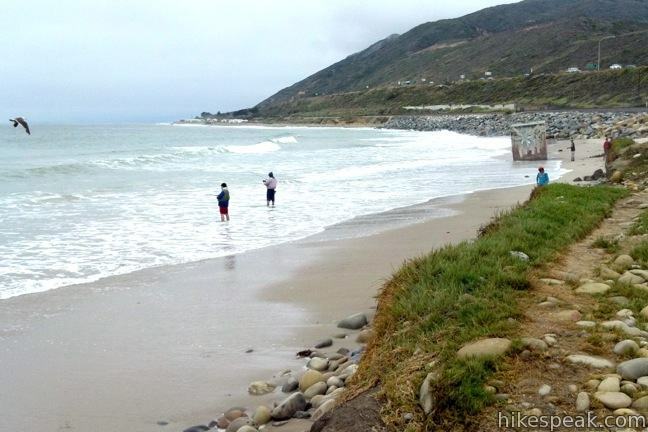 From the southbound 101 Freeway, take exit 78 and drive 5.8 miles south on PCH to the campground. 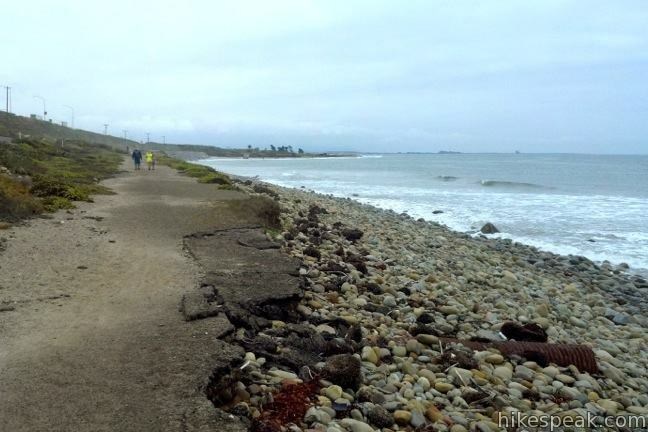 This level and easy 1.5-mile loop in Emma Wood State Beach, borders the Pacific Ocean, the Ventura River, and an estuary flocked by seabirds. 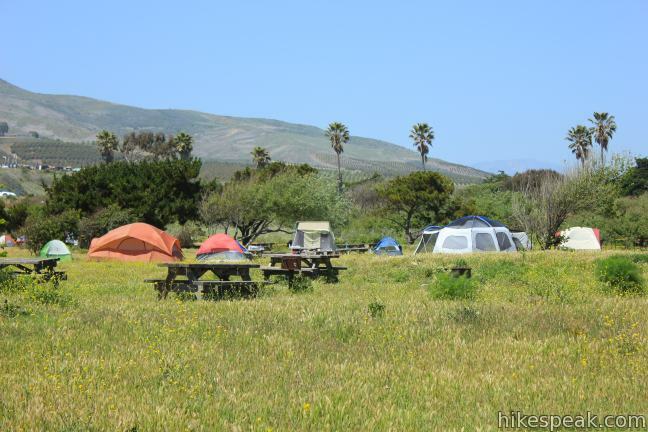 This 70-site campground in the Los Padres National Forest outside Ojai is complimented by a 1-mile nature trail. Dogs are not allowed on the beach, but are allowed in the campground (on leashes). Hello! Curious about Group Camping. I have a group of about 8 people that would like to camp in Seaside Wilderness Park. Is that possible? We are all tent camping and was curious about fees, reservation, and parking. Hello. I was wondering how close the train tracks are to group sites GVB? Thanks! The train tracks are quite close.